Cost you money by taking up space in your office. Risk the security of your valuable corporate information by being lost or sold without proper data destruction. Damage the environment by ending up in landfill where toxic chemicals can leach into the ground. What if you could affordably and easily have your old IT equipment taken care of to make room for your new assets? Do you want the peace-of-mind knowing that your data is secureand that your equipment won’t end up in landfill? Did you know that you could get a proper financial return on your old IT equipment? Established in 1998, Buyequip is your leading supplier of End-of-Use and End-of-Life IT services. 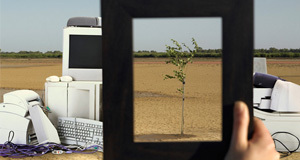 eWaste Recycling – Buyequip can collect and recycle your old IT equipment. IT Asset Remarketing – Buyequip can remarket and provide a return on your IT assets. Data Destruction– Buyequip can securely erase data from your hard drives. What does this mean for you and why should you use Buyequip? Save you money – Buyequip can help you free-up office space, allow you to focus on your core business (instead of selling IT assets) and provide a financial return for your IT assets. Protect your data – Buyequip’s rigorous data destruction process (compliant with US Government standard) will ensure that your sensitive data is erased for good. Help the environment – Buyequip can help you satisfy your Corporate Social Responsibility obligations by reducing landfill and preventing toxic chemicals from leaching into the ground. Cash Back – Buyequip will pay you for working remarketable equipment in good condition. Based on the principles of Security, Value and Environment, to provide the best possible environmental, social and economic outcomes to minimise the impact of End-of-Use and End-of-Life electronic waste. As essential participants with a shared responsibility in achieving our mission, Buyequip’s employees are the most valuable assets of our company. To be efficient, innovative and professional to achieve growth and profit. When possible, we will partner with community groups to form community wide solutions. To treat all with generosity, equality and respect. Buyequip can remarket your IT equipment and ensure financial returns. Become one of Buyequip's corporate e-waste recycling clients. To donate your household or smallscale e-waste, find a Buyequip community partner near you that specialises in computer disposal and electronic waste disposal. Buyequip specialises in IT lifecycle management services including e-waste recycling. 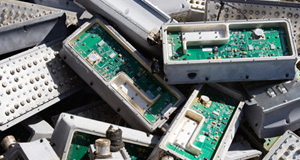 We provide secure, safe, skilful and customer focused electronic waste recycling, electronic waste disposal and e-waste collection solutions that will assist with all aspects of IT refresh and decommissioning projects. We support organisations to satisfy CSR obligations while maximising financial returns on decommissioned IT equipment, and drive cost reductions in IT services. 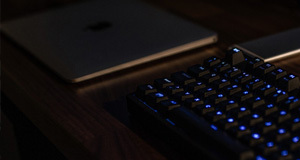 We also connect local businesses, community groups and households that have IT equipment to dispose with local community organisations that recycle electronics. With facilities throughout Australia, our experienced team can assist you with all of your IT lifecycle requirements. Become a Corporate eWaste Client. Become An eWaste Community Recycler. Donate Your Household Or Smallscale eWaste.